De Gendt's daring attack pays off in stage 1 of Volta a Catalunya. The Belgian wins his first race of 2019 season. 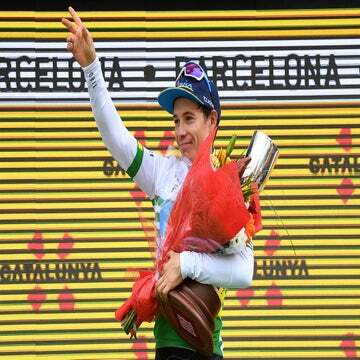 Belgian breakaway specialist Thomas De Gendt scored big on Monday in the opening stage of Volta a Catalunya in Spain. With a solo attack, 60km from the finish, De Gendt (Lotto-Soudal) rode alone to victory and took the race’s first leader’s jersey in Calella, Spain. 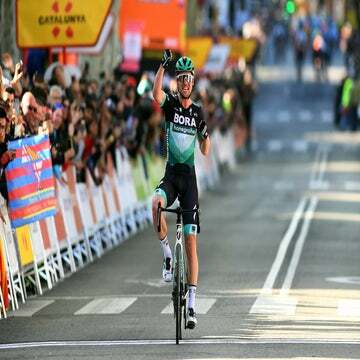 Max Schachmann (Bora-Hansgrohe) was second, riding in alone, and Grega Bole (Bahrain-Merida) finished third in stage 1. After infiltrating a six-man breakaway, De Gendt’s winning move began on Port de Santa Fe, the second categorized climb of the day. He went over the top of the 18.6km ascent with Luis Angel Mate (Cofidis), who is also a danger-man in the breakaways. At that point, they led the peloton by about 3:10. On his way up the day’s next climb, a combination of Alt El Muntanya and Col de Formic, De Gendt decided to set off alone after sprinting for king of the mountains points. De Gendt did an impressive job of holding the peloton at arm’s reach, keeping his gap at over three minutes until the final kilometers. Like Monday’s race, stage 2 will also feature a hilly profile with three categorized climbs on the 166.7km route from Mataró to Sant Feliu de Guixols. “Tomorrow I should keep the leader’s jersey, but I suppose I will not be able to follow the top riders on the next day,” De Gendt added.